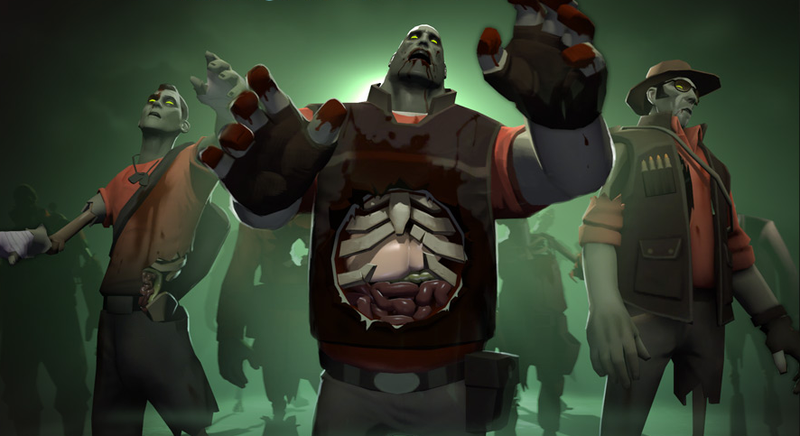 Just a few months after cold, unfeeling automatons came to Valve's hit co-op shooter in Mann vs. Machine, the publisher's unleashing waves of the undead on Team Fortress 2. According to Polygon, an update to the Team Fortress 2 website announced a two-week Scream Fortress event that will herald the return of necromancer Merasmus, who seeds all kinds of dark magic over the game's usual match types. The new Wave 666 map will be where showdowns against zombies happen and players will also be able to get enchantments that will summon ghosts as part of the event. How long until we get zombies vs. robots, y'think?